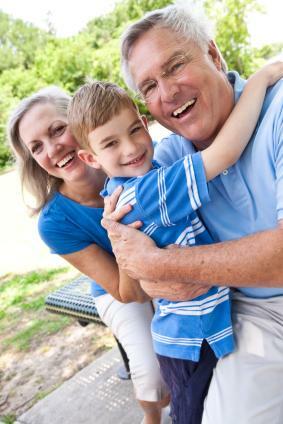 Grandparent visitation is an issue that is governed under state law. A grandparent can apply to the court for visitation with his or her grandchild, but the decision about whether it will be granted rests with the judge. Grandparents' Rights in the U.S. The basis on which grandparents' rights rest in the United States is the Troxel v. Granville case. This case was decided by the U.S. Supreme Court, and it struck down an earlier decision made by a Washington state judge allowing the court to grant visitation with a child to any person as long as it was in the best interests of the child. A judge was able to make the order at that point even if the parents objected. Brad Troxel took his own life in 1993. He was survived by two daughters and their mother, Tommie Granville. Troxel and Granville were never married and they were estranged when Troxel died. Brad's parents visited the girls after their father died. When Tommie Granville married, her daughters were adopted by her new husband. At that point, Tommie limited the grandparents' access to the girls. The grandparents wanted to continue seeing their grandchildren and took Granville to court under that state's third-party visitation law. The trial judge granted visitation to the Troxels. On appeal, the Supreme Court struck down the trial judge's decision. The court found that the broad definition of who could apply for visitation was far too broad and that it infringed on parental rights. Grandparents in Minnesota and Pennsylvania can only file for visitation if their grandchildren had previously lived with them. They must be able to show that they took on the role of a parent to their own grandchildren before the court will grant them visitation. Caring for the grandchildren on a full-time basis while the parents were away may help them to get visitation at a later time. Performing duties like attending parent-teacher interviews would also help the grandparent to make a case for visitation. A grandparent will have a better chance of maintaining a relationship with his or her grandchildren if they can keep their interactions with the parent civil. It can be very difficult not to take sides or state an opinion when the divorce involves your child. If your goal is to be able to see your grandchildren without having to have the court impose a solution (and you may not be successful in doing so, depending on where you live), it's important not to say or do anything to aggravate an already-stressful situation. In a case where you are being denied access to your grandchildren and you want to have grandparent visitation put in place, your first step is to consult a family law attorney. He or she will explain the law as it applies in your state and offer advice about the standard that you must prove to be granted scheduled visitation. When you meet with the lawyer, be clear about what you are looking for. How often do you want to see your grandchildren? What days/times should the visitation take place? Are you looking for overnight visits? What about holidays and school vacations? The more information you can provide to the attorney, the easier it will be for him or her to prepare the appropriate documentation if you decide to proceed with a motion to the court for grandparent visitation.